When I first took a peek at what I would be getting in my August Ipsy bag, I wasn't exactly too thrilled with the items picked out for me this month. But after getting the bag and actually trying out a couple of the products, I am happy to report that I was pleasantly surprised. Glamour Dolls Single Eyeshadow: Sorcery is a pretty bronzed copper shimmer that is right up my alley. It has a smooth texture, it's nicely pigmented, and it adds a lovely luminosity to the lids that really make eyes pop and stand out. Too Faced Hangover RX Replenishing Face Primer: Since this primer has been getting a lot of buzz lately, I was looking forward to finally trying it out for myself. This primer is infused with coconut water to help hydrate and add radiance to the skin. It also promotes elasticity. I gave Too Faced's Hangover RX primer a go over the weekend and so far, I think it's OK. It absorbs into the skin nicely, my skin felt soft and hydrated, and the light coconut aroma this contains is just scrumptious. As far as my makeup hanging on longer, I really don't think it performs any different than my other face primers in that aspect. My face is pretty oily though-especially now during the warmer months, so it's pretty hard for me to find a face primer that will make my face makeup last for a long period of time. Maybe this primer may work better for me when the colder season rolls along, when my skin is on the drier side. I may appreciate it more then. 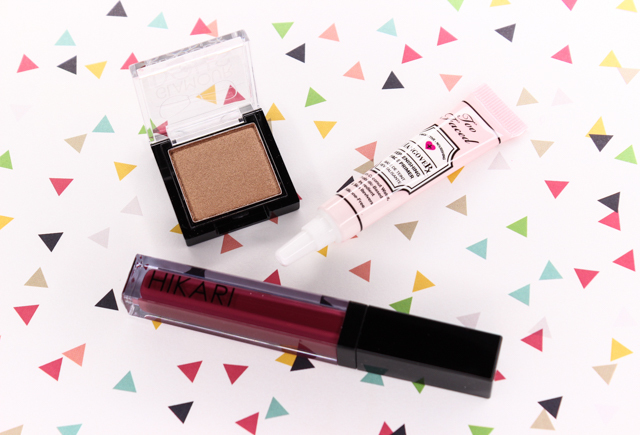 Hikari Cosmetics Lip Gloss: It's pretty rare that I get excited about a gloss, but I really like this one from Hikari. This lip gloss feels nice on the lips since it's not overly sticky or heavy. It also imparts a shine that is just out of this world. I have the shade Merlot, which is a gorgeous red-mauve that packs a major punch in the color department. Love it! I have a feeling Merlot is going to be one of my go-to lip colors during the fall season. Marc Anthony Nourishing Argan Oil of Morocco Oil Treatment: This hair oil is infused with Mediterranean olive oil and Moroccan argan oil, which help protect and condition hair. It also contains vitamin e and shea butter, to soften and hydrate. I love hair oils-they do wonders at taming frizz while adding a lovely shine, so I can't wait to try this one. It smells amazing, too! La Fresh Group Good Night. 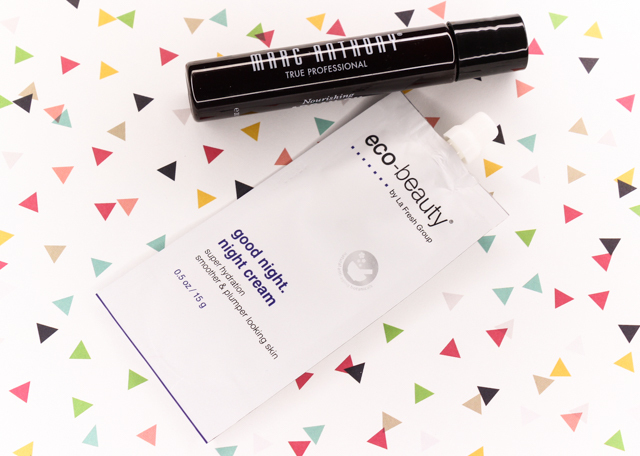 Night Cream: This hydrating night cream promotes a smoother and plumper appearance thanks to the inclusion of power ingredients like collagen-producing peptides, hyaluronic acid, vitamin e, shea butter, aloe, and folic acid. Just to name a few. If you want to sign up for a monthly Ipsy subscription, you can do so here. What did you all receive in your August Ipsy bags? Disclaimer: I purchased a monthly Ipsy subscription. This post contains referral links. For more information, please visit my disclosure page.